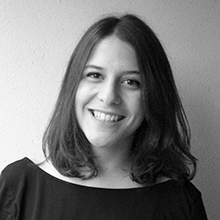 Teresa Chico de Guzman Huerta is a Senior Architect based in Pattern's London studio. Teresa completed her Master of Architecture with a specialisation in City Interventions & Urban Planning at the Polytechnic University of Valencia. Since joining Pattern, she has become an integral part of Pattern’s interior design and masterplanning projects. Teresa is an accomplished BIM user and plays a key role in complex modelling and design information. Teresa worked on the Al Rayyan Stadium and Precinct for the 2022 FIFA World Cup Qatar.